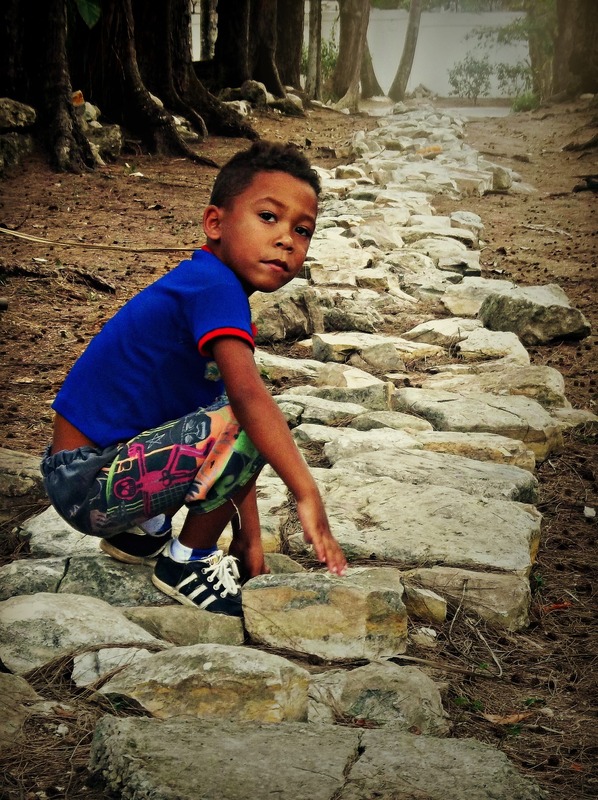 Where are Cuban children now? One of my biggest questions while I was in Cuba was why I wasn’t seeing very many children in general. 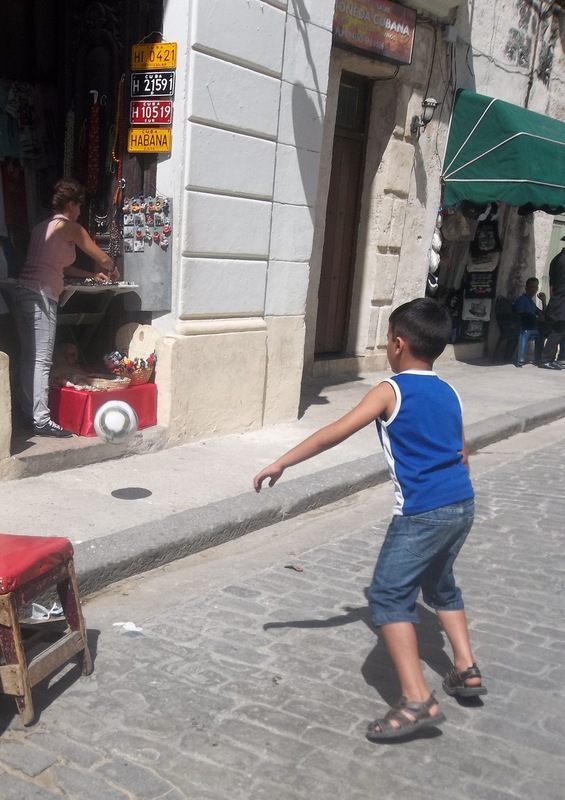 For the most part, everywhere we went was teeming with people, but nearly all of the people we saw in Cuba were adults. Finally, near the end of the trip, I asked this very question. According to our tour guide, Geldrys, all of the children are at home with their families or doing schoolwork, as they should be. Understanding where the Cuban children are now and why they are where they are requires understanding the history of Cuba. With the start of the Castro regime in 1959, education for all children on the island became free, public, and mandatory. Castro also eradicated private and religious institutions from Cuba. Prior to these changes, children were not required to go to school at all, so this was a major change for the country. The overall goal of this effort was to create one curriculum for all students and for all students to receive the same education as a result. However, this has not proven to work so well in actuality. Children in rural areas often do not receive the same education as children in urban areas because the school curriculum is set up to benefit the more middle and upper classes in that it only focuses on schoolwork and not day-to-day activities, such as working outside of school. In rural areas, children have to help their families with farm work or housework, so it’s more difficult for rural children to pay as much attention to their studies throughout the day and into the night. This doesn’t mean that children in Cuba don’t still excel academically, though; it simply means that most rural children don’t receive as extensive of an education as urban children do. 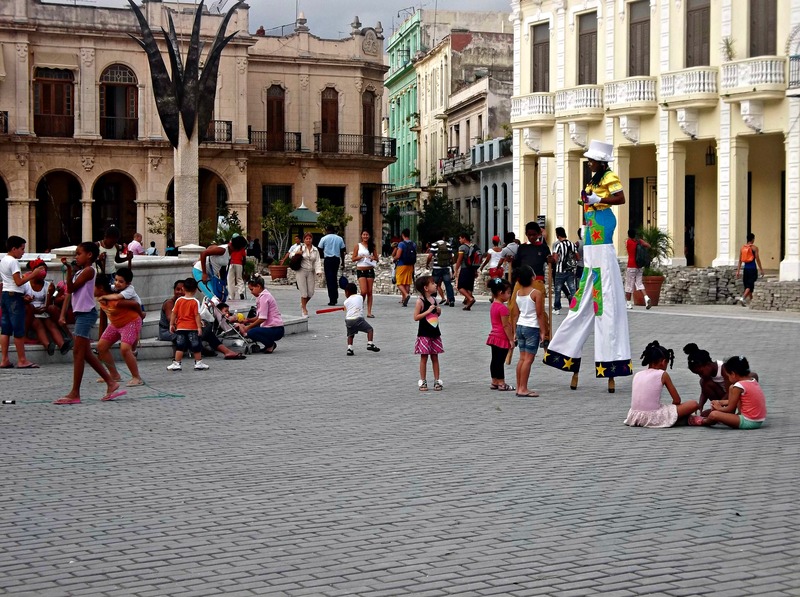 Regardless of the differences in location, children in Cuba are still very well-educated, with a youth literacy rate of citizens between 15 and 24 at 100% for both males and females. With the Castro regime and free education also came free healthcare for the Cuban people. Currently, there are approximately 1 doctor for every 200 Cubans, many of which are devoted to children’s health and pediatrics. In 1962, however, the United States signed a trade embargo against Cuba. While this had dramatic effects in multiple areas of Cuban life, healthcare, perhaps, took the biggest hit. The loss of trade with the United States prevented Cuba from being able to import many medications that were crucial to many citizens’ lives, including the children. As a result of this embargo, many Cuban children have been faced with problems of malnutrition due to the lack of medication. Because of the loss of trade partners between the US, its allies, and the Soviet Union, there are also huge shortages of basic necessities, like milk. Cuba used to be able to provide milk for every child under 14 and every adult over 65, now they can only barely provide milk for children under 7. These shortages have large health and nutritional implications for children because they can become very ill or even die if they don’t get all of their proper nutrients. The Cuban people and Cuban government, however, are still very devoted to the children with regards to healthcare, especially when it comes to vaccinations. Over 90% of Cuban children are fully vaccinated (according to UNICEF, no diseases were rated as being vaccinated against any lower than 96%) against diseases, including tuberculosis, polio, and measles. For how very little money and how few medical supplies the country can obtain, these are very impressive statistics that go to show just how devoted the island is to making the lives of their children continuously better than their predecessors. Castro has also made daycare facilities free to all families in which the mother is working (on a first-come, first-serve basis). These daycare centers are more than just babysitting facilities, though, they also provide medical treatments, preventative health care, complete dental care, and are required to provide children with proper nutrition. In rural areas where families are less likely to have their own proper bathing facilities, daycares will also bathe the children a few times a day to prevent the spread of childhood diseases. Not all is good and well with the idea of free education and free healthcare, however. Although the education is free in Cuba, the opportunity to study whatever you please does not exist under the communistic government. Communism inherently limits the freedom of choice, autonomy, and the freedom of expression, specifically when it comes to the free services that the government provides. The Cuban government believes that all citizens should live their lives for the state. This means that children’s futures and careers are planned out and dictated by the government and children are, in general, discouraged from the freedom of expression. 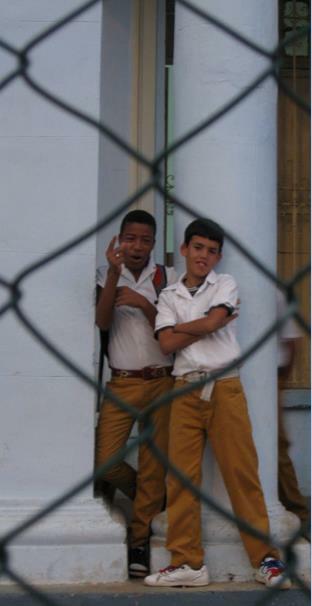 A combination of the lack of choice in job positions and the state of the economy in Cuba overall have led to children to stop pursuing their educations once they’ve completed the minimum requirements (up until at least 9th grade) and turning to the tourist industry as a source of income. With the expansion of tourism and the realization that much more money can be earned through tips than by many other means, however, the prostitution industry in Cuba has dramatically increased since the Revolution. Woman and young girls have found that they can make more money for their families through prostitution than any other job and, as a result, girls are entering prostitution at young ages. Where are Cuba’s children headed? I don’t want to say that the American way is the right way to do things because the Cuban people obviously enjoy the idea that their education and their healthcare is free; that much was made very clear to us while we were there. However, I think that with the change in power from Fidel to Raúl, and the resulting increase in private businesses, the Cuban people will learn how effective competition can be at making the economy and quality of life within their country better for their people. I think that those sorts of changes in the economy will help the Cuban people realize how important it is to be able to be trained in different professions and to be the best of the best at those professions. I think that the tourism industry will obviously continue to increase, so it only makes sense that foreign languages, especially English, will find their ways into schools at younger ages to better prepare children for their futures. I also think, though, that the mentality of Raúl has been much more broad and much more individualistic than his brother’s was, so I think opportunities to study the topics you want to study will eventually open up to the Cuban people, though they may require you to pay for your own schooling at that point if you want to study something other than what the government says you should study based off of your grades. I also think that the lifting of the travel ban for Cuban citizens will also change the structure of the island in that many people will leave if they can to make a better life for their children and families elsewhere, so the overall youth population on the island may decrease in itself because of that. 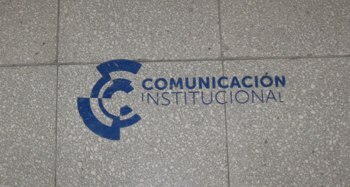 What is Cuban education like right now? 5 days of school, 7-4:30 every day with a two hour break from 12-2. More intensive math & science in the morning and writing or easier work in the afternoon. After school, there is a 2 hour after school program during which the students do applicational activities in their favorite subject: writing plays, composing music, etc.. Then the children go directly home after school and spend time with their family. The teachers are extremely involved in their lives and community. They have a solid relationship with their students’ parents so that they know more intimately what a student is dealing with day-to-day with their parents and therefore can have a greater foundation from which to teach the children, as well as being able to show the parents that they are thoroughly invested in their child’s success and future. There is a parent teacher organization through which weekly meetings are held so that teachers can thoroughly discuss what is going on during their lessons and therefore the parents know how to help their children and can keep up with everything that is going on during school, as well as getting to know the other children and their parents. The point is for the communication to have no lapses and for everyone to be connected and help one another succeed. Everyone working together so that no one will have a chance NOT to succeed. If the parents do not show up for these meetings, then the child is shamed and their parent will have a bad reputation, which is a horrible thing in such a close-knit community as those that exist in Cuba. For children with disabilities or those who live too far from a school and don’t have a way to get to one, a teacher will be sent to them. Since education is almost top priority to Cuba, the government believes in that education is a given for literally everyone. It is also a priority for the teacher to be as highly qualified as possible. All teachers are required to be continually working on advancing their own education. There is a monthly meeting with the government officials in the Department of Education and all the teachers at each school in order to evaluate how the school is functioning and how well the students are learning the material they need to learn. If a child doesn’t go to school, the parents can be arrested. If the child misbehaves regularly at school, the child and his or her parents are scheduled at a center to be counseled so that the problem is solved. The government wants to make sure that the child has the greatest chance of success possible. However if the child is misbehaving continually after everything that could be done to help has been done, they will be sent to a school for juvenile delinquents and the parents will be extremely shamed by this since everyone in the community will know and looks down on them for this because it is seen as their fault, not necessarily the child’s fault. 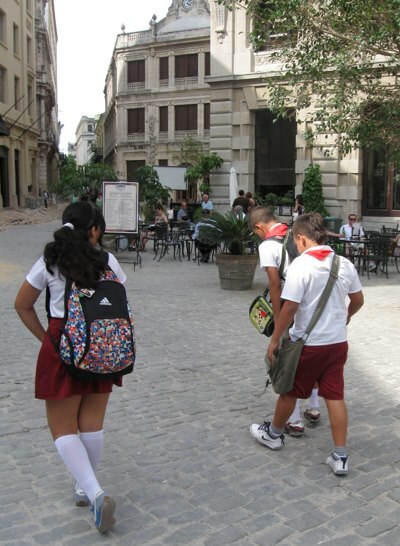 It is mandatory for a Cuban child to go to school from the time that they are 5 or 6 (in kindergarten) until they graduate what we would call middle school, which is around the time that they are 15, then afterwards they will go to either technical school, where they will learn to have a trade, or they will go to pre-collegiate school, if they would like to continue on to college. During this upper secondary schooling, their grades will then determine what kind of career they will be allowed to study for. The government will send them a list of possible professions depending on their performance during pre-college high school. From there, they attend college for 4 years, after which their grades will determine how high up their job will be. According to Geldrys, our tour guide in Cuba, the most desirable job will be one through which the government sends them abroad and will pay for all their expenses, so that they can send their wages back to their family in Cuba instead of having to use them for food and other things. After this Bachelor’s degree (licenciatura), they can then attain a Master’s degree in 2 years along with 200 hours in practicing their specialization. Finally, the students must then study 3 to 4 years more before being considered for an opportunity to attain their Doctorate. After being approved, they will then research for some additional years before then having to write a thesis and defend it before a jury. Only after achieving approval of the jury will they be awarded their Doctorate. Fortunately, their entire education is completely free (albeit a year of military service is required in order to go to college). However, it was very interesting information that our guide shared with us about this. Even though education is free, it is extremely difficult for a college student to find a part-time job. Therefore, more often than not, a students’ parent ends up paying for clothes and anything else their child needs during college. Because clothing is the most expensive thing to buy for the Cubans, and also the most desirable, if the parents can’t afford to pay for clothes whenever needed, the student will often drop out of college so they can get a full-time job and be able to afford clothes and help their families, unless they don’t care about their appearance. Where is Cuba headed with education? Since illiteracy was extinguished by 1961, there really isn’t much else that can be done. 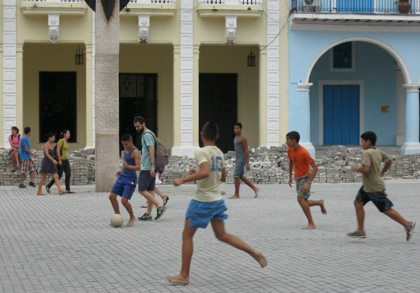 And since the scores of a standardized test held by the UN in the 1980s throughout Latin America proved that low-income Cuban students at 13 different schools out performed middle-class students in other Latin American countries, it proved that Cuban education standards created by the government, along with 10% of the annual GDP spent in Cuba going to education, has really worked, and will be hard to improve even more so. However, since Cuba’s economy focus has shifted so much to tourism within the last 10 years, it would make sense that their educationational outlooks would include tourism as well. Since many of the tourists speak English along with European languages, I would predict that more languages will be brought into the curriculum, starting earlier on in primary school so that the children have the best chances of integrating it into their speech pathways. I would also say that perhaps business will be a field into which more Cubans interested in going to college will be pushed towards in order to help the Cubans understand what it takes to attract tourists and trends in the market related to that. Also, I know it wasn’t part of the assignment but I found it really interesting that I couldn’t access Cuba’s country website from UNICEF – it required a username and password to open – yet I could see all of the other country websites that were listed!